Matthew Harffy has written three books in the The Bernicia Chronicles series. 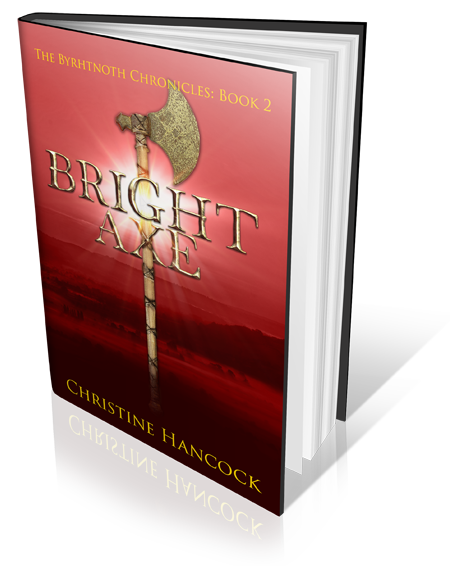 They are about Beobrand a young thegn in 7th century Northumbria. You can read my review of the second in the series, The Cross and the Curse here. The fourth instalment will be published later this year. 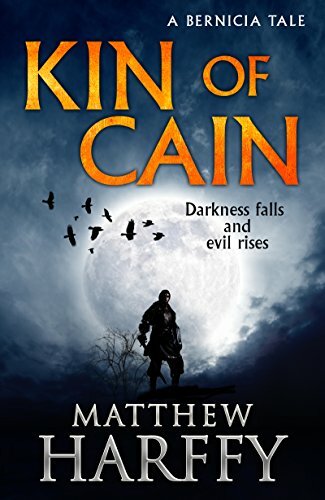 Kin of Cain is a novella (86 pages), to be published on 1st March. It is a gobbet of flesh tossed by the author to keep his readers quiet. I had already ordered it, but was offered a ARC for review. It is a prequel to the main series, set several years earlier. Beobrand’s elder brother Octa, is new to the household of King Edwin and desperate to prove himself. As usual with this author, it is straight into the action. A cheerful winter’s night in the mead hall is interrupted by a scream. It is a simple tale, one of the oldest. An invincible monster roams the land. The king sends his best warriors to destroy it. Octa is pleased to be chosen as one of them, he soon changes his mind. The trail takes them through a mysterious, mist covered marsh, to towering cliffs and thundering seas. Will they catch the monster? Is it an animal, or something else. Can it be killed? Who will die and who survive? The only fault, for me, is the use of the term “slaughter-dew”, an Old English kenning. It suggests a bath oil for shield maidens. But with so much blood spilt, another word is definitely needed. It sprinkles on the ground, it drips from torn flesh and smears the blades of weapons. I loved the twist at the end, where connections are made and loose ends tied. This is a great book, to be consumed on a winter’s evening in your favourite chair, perhaps with a glass of red. A distraction from the never-ending news of pontificating politicians. Better still, huddle close to the hearth in your lord’s hall. Sip your mead as the scop recites this song of heroes. But beware. What is that screaming, out in the winter darkness?